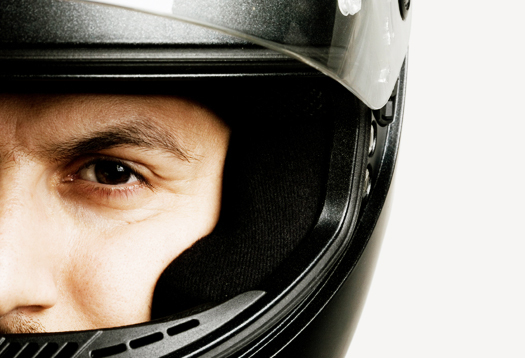 Regular motorcycle riders see a positive impact on their brain, a study says. 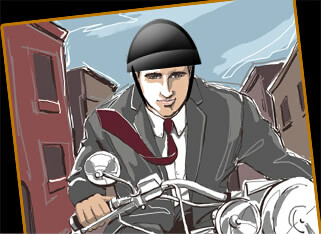 Riding a motorcycle every day is good exercise for your brain! That was one of the conclusions of a study conducted by the University of Tokyo that indicated that riders between 40 and 50 years old improved their cognitive functioning, when compared with a control group, after riding daily to work for just two months! According to the report: Scientists believe that the extra concentration needed to successfully operate a motorcycle can contribute to higher general levels of brain function. The study by Dr. Ryuta Kawashima, author of “Dr. Kawashima’s Brain Training: How Old Is Your Brain?” looked at the relationship between motorcycle riding and the human mind. Kawashima’s experiments involved regular riders (average age 45) and former riders who once rode regularly but had not taken a ride for at least 10 years. Kawashima asked participants to ride on courses in different conditions while he recorded their brain activities. He found the current riders and former riders used their brains in different ways, and the current riders had a higher level of concentration because specific segments of their brains (the right hemisphere of the prefrontal lobe) was activated. He also tested how making a habit of riding affects the brain. The test subjects had not ridden for 10 years or more. Over the course of a couple of months, those riders used a motorcycle for their daily commute and in other everyday situations. The result? The use of motorcycles in everyday life improved cognitive faculties, particularly those that relate to memory and spatial reasoning capacity. An added benefit, according to the study? Participants said their stress levels had been reduced and their mental state changed for the better. So why motorcycles? Shouldn’t driving a car should have the same effect as riding a motorcycle? Yamaha Motors had a joint research project on the relationship between motorcycle riding and brain stimulation with Kawashima Laboratory at the Department of Functional Brain Imaging, Institute of Development, Aging and Cancer at Tohoku University. The project, in 2009-10, focused on the measurement and analysis of the cause-and-effect relationship involved in the operation of various vehicles and brain stimulation. The study measured changes in such stimulation over time by means of data gathered from a long-term mass survey. Yamaha provided vehicles for the research and made its test tracks and courses available for the study. What the study revealed is that what you’re thinking about while you’re riding – and your experience on the bike – changes the physical structure of your brain. You may get some mental and physical benefits from just thinking about going for a ride on your machine, the Tokyo study indicates. Along with the obvious benefits of riding – like having fun – motorcycles take the edge off the grind of your commute to work. This entry was posted in Motorcycle Safety, Uncategorized and tagged accident attorney, accident lawyer, Adam Gee, Adam M. Gee, American Motorcyclist Association, Elmira New York, Motorcycle, NY accident attorney, NY accident lawyer, NY and PA motorcycle lawyer, NY biker lawyer, NY motorcycle accident attorney, NY motorcycle attorney, PA motorcycle accident attorney, PA motorcycle lawyer, Pennsylvania, Pennsylvania motorcycle accident attorney, Twin Tiers. Bookmark the permalink. It is interesting to hear this. I have been doing research on brains at Brigham Young University for over 20+ years. I even make pictures of them for a small business. This is the first time I have herd that Motorbike riding is helpful.